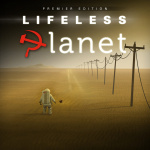 On its barren surface, Lifeless Planet: Premiere Edition is a difficult game to quantify. Is it a sandbox exploration title? A walking simulator? A puzzle-platformer? A sci-fi adventure with a splash of horror? In truth, it’s an amalgamation of all these things, but it only ever dips its toes into these creative sources and ends up feeling shallow and undefined as a result. Part of this is clearly a conscious decision on the part of indie developer David Board - the one-man outfit behind Stage 2 Studios - with a veil of mystery and the unknown permeating every corner of its alien world. It makes sense for the game to keep you guessing as to its true nature, but much like the story that ties its disparate parts together, that dissonance never really comes together and you’re left feeling rather unsure about what you just spent three-to-four hours playing. But, for all its faults, there’s something rather compelling about it. Sure, it might look like something you’d find on a PC Gamer magazine demo disc from the early 2000s, but there are some vistas scattered throughout the game that are so captivating that we found ourselves stopping to marvel at them while exploring the barren alien wasteland around us. It’s indicative of Lifeless Planet’s entire ethos: a crude experience, but one with fleeting yet impactful moments of brilliance. You’ll explore its story in the boots of an American astronaut who crashlands on said alien world. What was meant to be a lush and verdant new home reveals itself to be a dead wasteland seemingly devoid of life. With your remaining crew missing and potentially lost forever, it’s up to you to unravel the mysteries unfolding before you. And there are some intriguing, almost Lost-esque clues dotted around, very much like narrative breadcrumbs. If this really is an extraterrestrial world, then why is there a human settlement here? Why are there records and flags suggesting this was the work of the Soviet Union? And where have all the men, women and children gone? Is it all just an elaborate hoax? 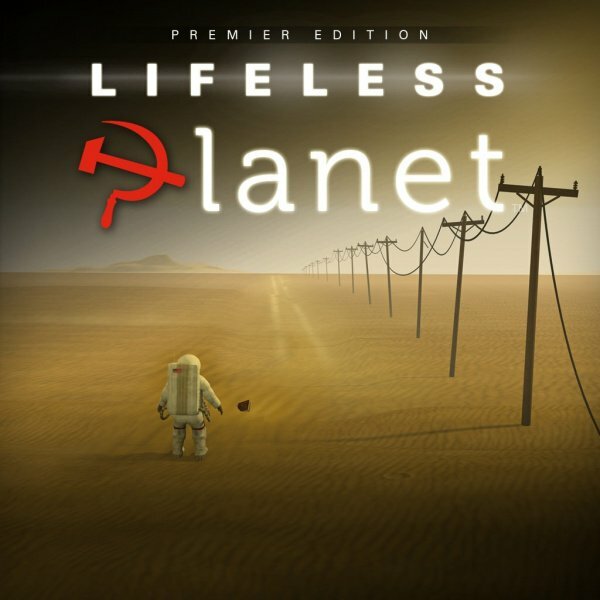 These are the mysteries that Lifeless Planet lays before you in its first hour, and they make for an interesting way to draw you further into its world. The problem is that the world in question is such a largely uninspiring place to inhabit. 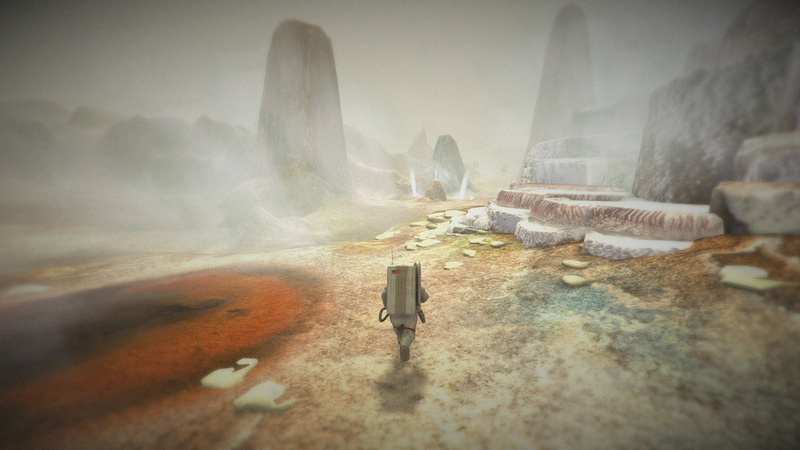 The game more than lives up to its name; the titular planet feels empty. And while it’s obvious the lack of detail is a necessary sacrifice in order to enable a single developer to create sandbox environments as open as these, it just seems a little redundant when you discover these ‘open’ areas are actually quite linear with only one true route from end to another. Even the interior environments you encounter look like something out of the fan-made Counter-Strike map community. It’s all just a little too low-fi. However, it’s still quite fun to explore. 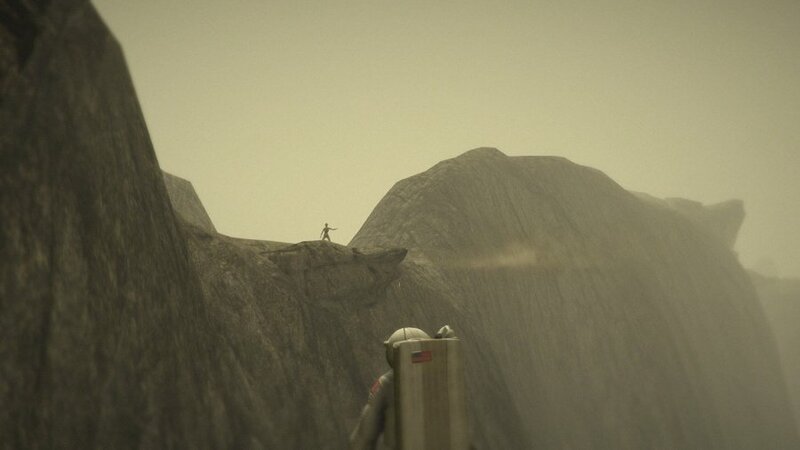 There’s something paradoxically satisfying about running around an alien landscape, using the single boost of your jetpack to jump from one rocky outcrop to another. You occasionally get access to a souped-up version of your jetpack when traversing much larger areas - making for some of the game’s most enjoyable sections - but these more engaging platforming set-pieces are few and far between as you’re too often stipped back to your basic level of thrust. Sure, the controls are a little clunky and it’s way too easy to overshoot your jumps, but it’s still a memorable way to break up the long periods of hiking through another barren gulley. There’s no combat to speak of, although there are dangers that we won’t spoil here, so expect to be caught out by the occasional jump scare. 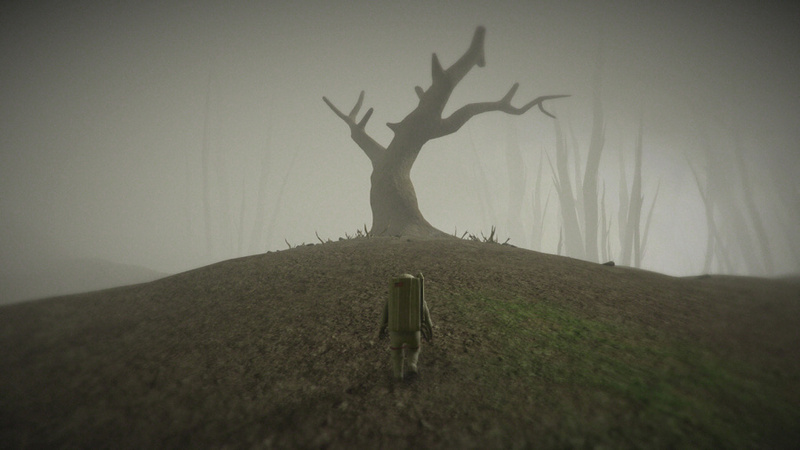 In fact, we’re impressed with how well the game builds a sense of growing foreboding. Rich Douglas’ score has multiple personalities, slipping from chilled-out resonance to a sinister crescendo, and it does a wonderful job of elevating the game in which it resides. It’s by far Lifeless Planet’s strongest addition. 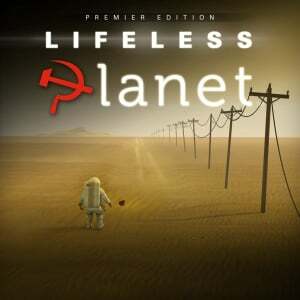 While its crude looks and disparate gameplay elements can make for a spartan experience, there’s still something bizarrely compelling about Lifeless Planet: Premiere Edition. There’s nothing particularly remarkable about its occasional platforming and simple environmental puzzle solving - and its story never truly offers the payoff its mysteries set in place - but you’ll still enjoy the short time you spend with it. An ambitious little curio, even four years after its original release, but one that sets its sights a little too high for its own good. This really makes me appreciate Nintendo games and all their pretty colors. I may pick this up on a really good sale. When I have nothing left to play. this seems like a moderately interesting enough game that I might pick up on a deep discount sale. Awww, that's a shame. The trailer was genuinely intriguing. Even to the point of maybe picking this up in a sale. I generally dig this kind of game but art, story, music, interactivity in novel forms, or a combination of these, will have to fill in for the missing core gameplay in a major way. Played this on PS4 and found myself just wandering around trying to figure out what to do...shortly thereafter i moved on. Still intrigued, but too expensive. Will wait for the inevitable sale. it's been on my steam wishlist for years it seems but i've never pulled the plug on it. i may pick it up later after i clear some games out. just so much to play these things get lost after a while. This game looks like the poor man's Death Stranding. It's a walking sim with a somewhat convoluted story. Not extremely bad, but certainly not worth full price. I played the PC version about 4 years ago. A game that delivers nothing but boredom, no thanks. @Vriess If the price is right, I'll check it out. I tend to find low-rated games to be better than the scores suggest and high-rated games to be not as good. @Djgoa I actually think that's unfair. It might not be great, but you can tell loads of thought has gone in to it. I remember this and a bunch of other promising sci-fi exploration-focused games were announced, this looked like yet another thing to be excited for. I really liked the premise of the game. Astronaut crashlands. It`s a shame, but I might pick it up if there`s a heavy sale..
5/10 but the review seems to rate it higher ? Too bad. 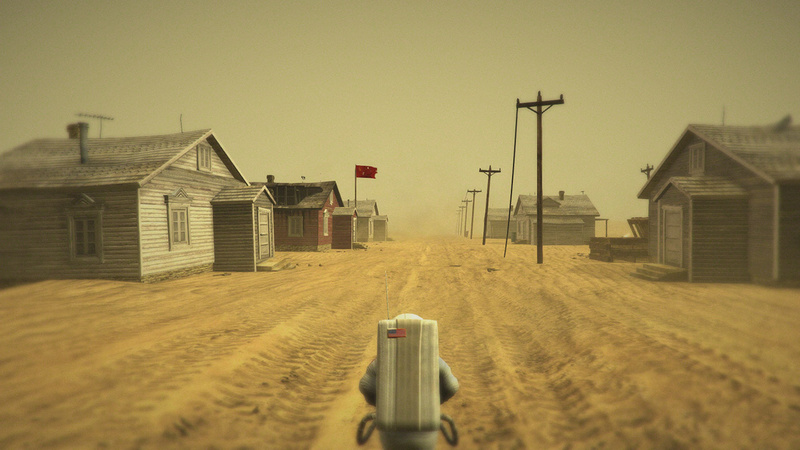 I loved the idea of finding an abandoned Soviet town in space. It seems like a great idea, but sounds like like they didn't do much with it. Still, depending on the price... Maybe. @Djgoa I wouldn't say that. Nintendolife also gave salt and sanctuary a 6/10 and it's the best indie I've played in years. This looks intriguing and different, at least. Right you are. I just hope you have the patience for it. It's not a bad game, but I was glad when I finished it. I'm intrigued by it, but I'll need a super sale or a physical copy to rent. I don't hate what I've read, but it's one of those "something to do" games I'd play on my bus rides. @Vriess It will have to be a pretty deep discount, but I should be alright with the patience requirement. I've not got any great expectation, just want to see what it's like to play. I think you were too harsh with the game in terms of score and actually if I had just read the review without seeing the final score, I’d think you’d have given it like a 7,5...doesn’t make sense, but oh well.. This is actually one of my favorite games on PC ever and will gladly buy again on Switch. It’s all about the Discovery, the Unknown, the eerie and spooky nature of the planet/setting and the story will slowly unfold. I really love this game, it feels like you’re inside a sci-fi film or Twilight zone ep. There’s nothing like it. Lol, a poor-mans version of Death stranding (just joking, Death stranding isn't even finished)! Bought it on pre-sale and I'm really impressed. It's very exciting and the style and atmosphere are amazing. Imo it deserves a much better rating. As a massive sci-fi literature fan this game definitely appealed - it's got that sense of mystery, the musical score builds nicely and a definite lo-fi approach that will appeal to those wanting something other than a hero of the galaxy saving earth from the alien armada. But, it's just difficult to ignore the poorly built elements of the game and the fact that there is little content. Your poorly defined space man floats through the air upon hitting hump, jet-set willy esque, across featureless and poorly defined landscapes. What 'puzzles' there are are more frustrating through being difficult to see where to go in the first place, rather than being logical puzzles that you can work out. Other challenge is added by simply having to walk around, trying to find the single-track path you need to progress, your space man being bouncing and jumping up against another low-res rock texture. The most inadvertently humorous area of the game I found to be when you were trying to find a path down a mountainside, randomly throwing your character down it and seeing the rubbish rag-doll physics as he died again and again, with little concern. As a sign of design quality, if you invert the Y-axis in the options or turn off rumble, the next time you boot up the game those changes won't have been saved. So wondering where 'Premiere edition' comes from, I assume it means from the first or beta-testing version? Certainly it feels unfinished. There is some good narrative content nestled in the game but it's hidden behind rubbish graphics, structure and playability that I think most players will be hard-put to ignore.